Summit of Mt Jebel Toubkal. What is the highest point in Morocco? 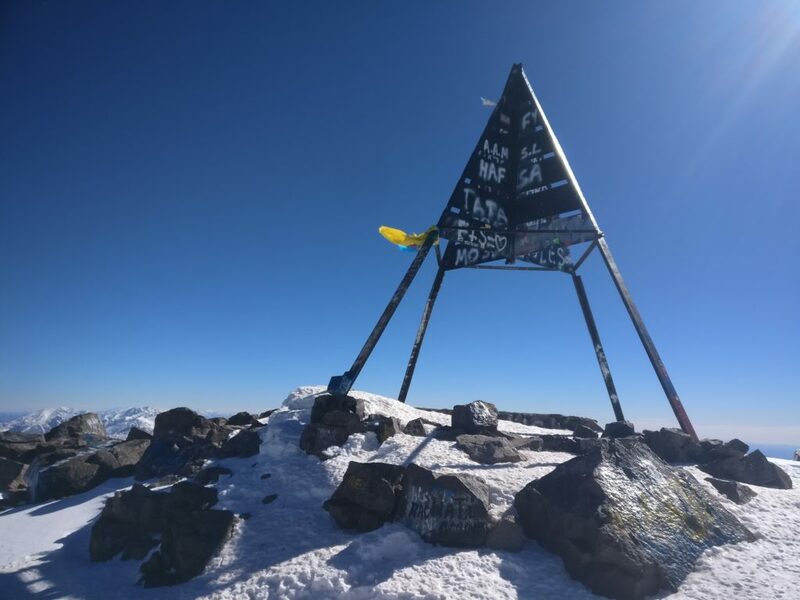 Yes, you guessed right, Mt Toubkal is the highest point in Morocco and whole Atlas mountains range. This is also the answer to the question what is the highest peak in the Atlas Mountains? Toubkal is located about 63 kilometers outside city of Marrakesh in the south. It takes about 1,5 to 2,5 hours to reach the base of the mountain from the busy city. 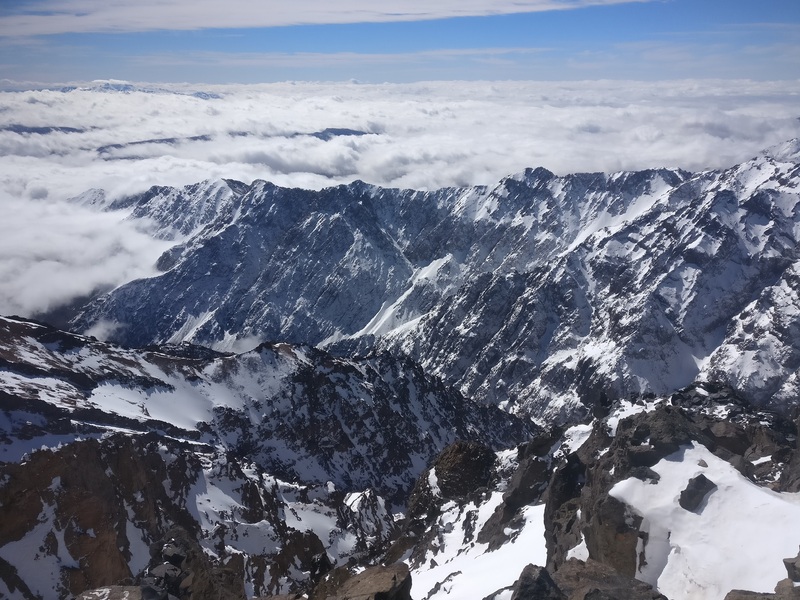 View from the summit of Toubkal Mountain. How high is Mt Toubkal? Jebel Toubkal is not that high, you can definitely leave your oxygen mask at home. It reaches 4167 meters (13,671 ft) above sea level. Although, if you are not aclimatised this altitude can easily make your head hurt. It takes at least 2 days to reach the top of the mountain and get down to the city at the base of the mountain. On the way to Refuge du Toubkal. 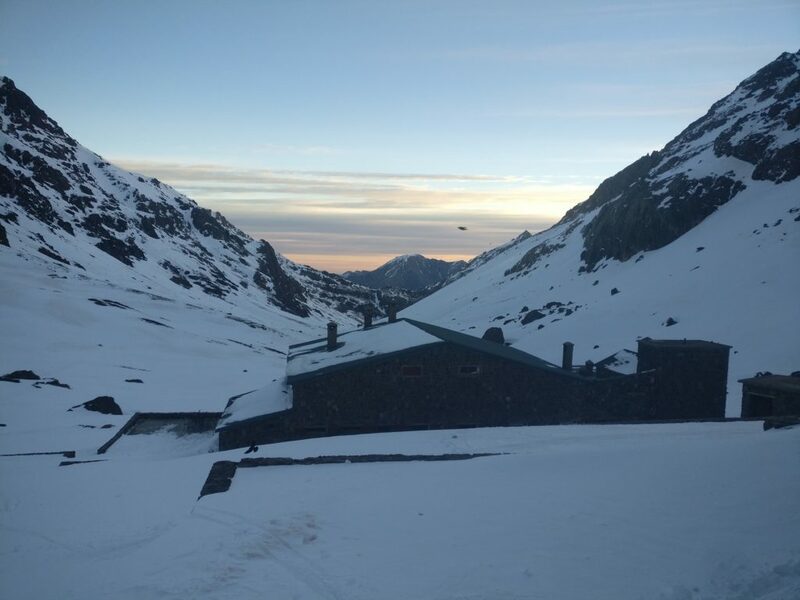 Is there snow on the Atlas mountains or Mt Toubkal? Depends on the season. In the middle of hot summer usually there is no snow on the top of the mountain. But during peak winter from December to end of February there is plenty of snow on the top of the mountain and on the trail going there. So Atlas mountains definitely have snow during winter time. Bring proper equipment, warm clothes and crampons! How long does it take to climb Toubkal? If you have aclimatisation from other mountains you can easily to it in 2 days 1 night from Marrakesh or Imlil village. If you don’t have aclimatisation it is better to be safe and make it in 3 days. 1st day climb to the refuge, 2nd day for aclimatisation and 3rd day is for summit push and getting back to Imlil or Marrakesh. When should I climb Jebel Toubkal? 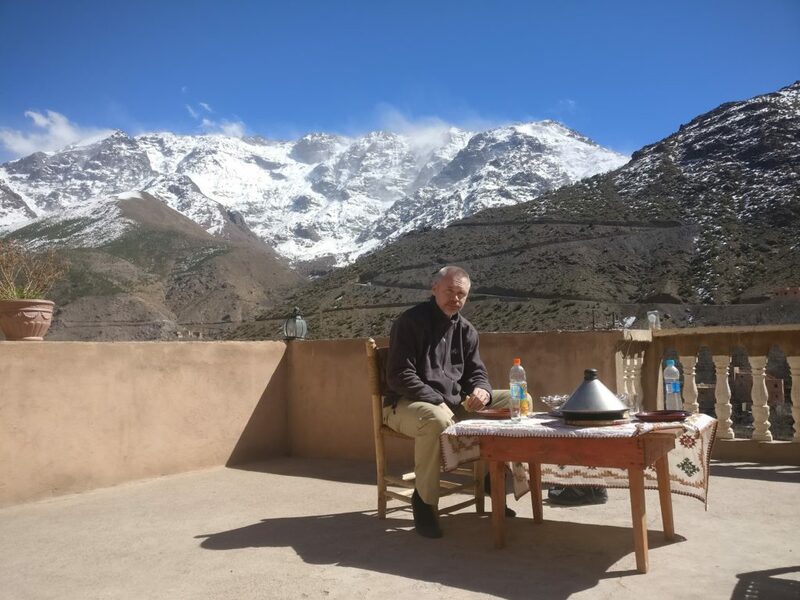 Toubkal mountain is open throughout the year. Refuge also. So you can do your summit attempt whenever you want, even in the middle of the winter. If you are professional mountains climber you would want to at least use the crampons, so do it in January-February. Climbing Toubkal in summer is a simple hike at high altitude, there are no technical sections, you do not need ropes or any climbing gear. My father and Mt Toubkal behing him. 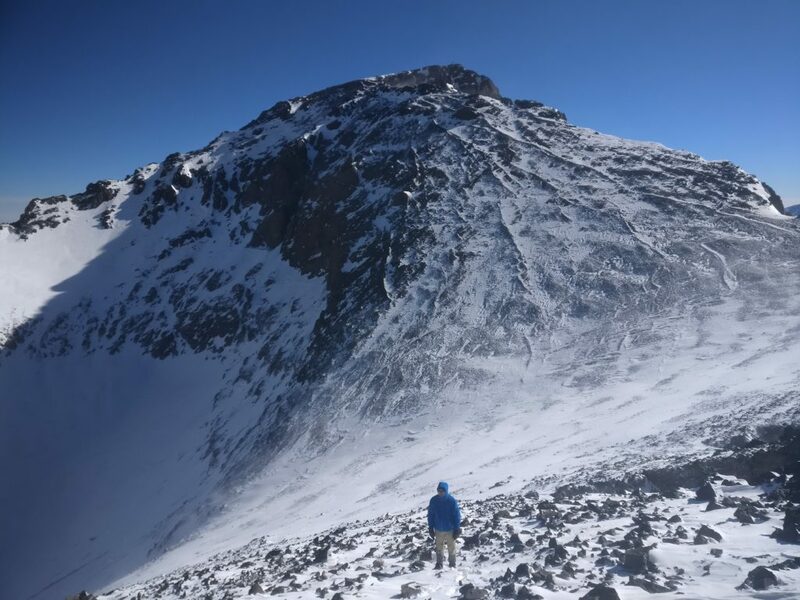 Do I need crampons for Mt Toubkal in Morocco? Depends when you want to climb the highest mountain in North Africa. If you want to do it in winter time then yes, you might need crampons (although, not necessary). But if you want to do this summit during summer then you definitely not need crampons. For winter climbers if you go to Morocco just with hand luggage it is very easy to rent pair of crampons in Imlil. I got 2 pairs of crampons and snow protection for 200 dirhams for 3 days. Day 1. Taking Grand Taxi or bus from Marrakesh to Imlil. After arriving to Imlil you will need to hike for around 11 kilometers. If you are fit you can do it easily in 3-4 hours. After 11 kilometers you will reach Refuge du Toubkal (2nd hut), I definitely recommend to stay there. Day 2. After sleeping and having breakfast around 6AM you need to leave the hut for the summit push. This day will be long (7 to 10 hours). Going to the summit will take you around 3-5 hours and then you will need to get back to Imlil. Total distance on day 2 is going to be around 19 kilometers. 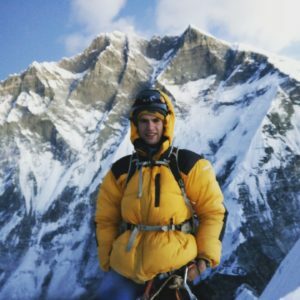 If you are new to mountains climbing and don’t have aclimatisation from before I definitely recommend to stay an extra day in the refuge. Make a short hike, enjoy chats with other hikers, enjoy moroccan food. CAF members (Club Alpin Francais). Bed – 80 dirhams, breakfast – 30 dirhams, lunch – 50 dirhams, diner – 80 dirhams. Non CAF members. Bed – 150 dirhams, breakfast – 30 dirhams, lunch – 50 dirhams, diner – 80 dirhams. Climbing Toubkal is not difficult at all. It does not have any technical climbing sections. It is significantly easier during the summer, you will not need any crampons, warm shoes. You can easily make it in your trail running shoes during the summer. Winter is another situation, it gets quite cold and sometimes there is 20-25 centimeters of new snow after the night. Breaking the path is not that easy at altitude above 3000 meters. If it is your first high mountains experience I wouldn’t recommend it to do it in winter. As Toubkal is not a technical mountain there are not many deaths on it. Make sure to have warm clothes and proper equipment if you decide to climb mountain in winter time. Also check weather forecast before your summit push. 99,9% you are going to be safe. Where to stay in Imlil? Imlil is a small village south from Marrakesh. It will take you about 2 hours with grand taxi from Marrakesh to reach village of Imlil. It has a lot of accommodation options, but I personally enjoyed Gite Atlas Mzik a lot! It is run by moroccan family, they organize mountain climbing also. Price is really friendly. You can agree to stay there for 100-150 dirhams per night for 2 people. That’s including breakfast! Huge lunch or dinner cost additional 30 dirhams. Diners are so big that my father couldn’t eat one diner we had ordered, so I had to help him! There are a lot of options how you can reach Imlil from Marrakesh city. Private taxi is the most expensive one and public bus is the cheapest one. I remember paying 30 dirhams for the bus which took us 2-2,5 hours to Imlil. Private grand taxi will cost you around 300 to 500 dirhams. Seat in a shared grand taxi is 50 dirhams, it is faster than the bus. Enjoy your Jebel Toubkal experience with or without a guide. Respect the nature, leave nothing but footprints and take nothing but pictures. 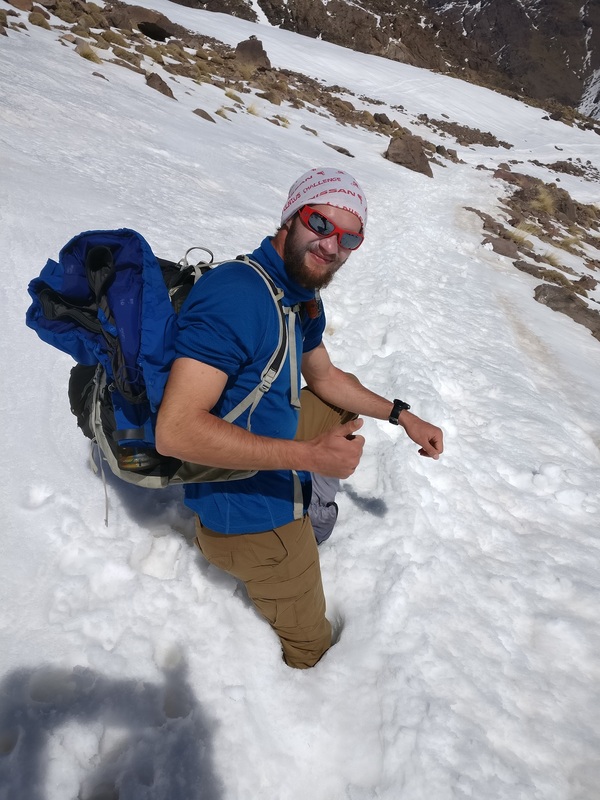 If you have any questions about climbing Mt Toubkal feel free to ask in comments, I will try to answer them as soon as I can. Would love to climb there one day. Last time i was in Morocco i didnt have time. Looks amazing and thanks for all the detailed information. You can definitely do that. It is easy and doable. I think it is a must do hike while in Morocco. Stunning photos! It sounds like a fun and mildly challenging hike. I also love that you featured a side of Morocco I bet most people don’t even know about! Oh, it is definitely a great hike in Morocco. And I guess it is the most popular hike people do there. Hey, we’re planning to climb Mt Toubkal in February, but i can’t decide to sleep in the refuge or in our tent. We’re fully equipped for winter camping, but the terrible things that happened to the 2 students hiking there has been on my mind a lot. Do you know how safe it is to be camping on Mt Toubkal? What’s the atmosphere like? Thanks so much for your help! Hi Lara! I did climb Mt. Toubkal in February and in my opinion it was pretty cold. I would recommend to stay in refuge as it is much warmer inside and there is fireplace where you can warm your feet and dry your clothes if they are wet. But it is also possible to camp near the hut and eat only dinner there. In my opinion it is super safe. There are a lot of people on the mountain all year. As I understood these 2 girls were not exactly on the mountain… In my opinion, it could happen anywhere and anytime, so to choose not to climb this mountain because of this wouldn’t be smart. Enjoy your trip and let me know how did it go! Hi ! We are planning to climb Toubkal in few days. we’ve heard from 2 people that after those 2 girls were killed, taking a guide is obligatory. Since it seems not to be very difficult hike and we have managed to reach few other 4, 5k mountains without one, can you confirm it is really necesary ? Hi Marcin! I think you will only find out when you will arrive there by yourself 🙁 It is pretty hard to find information now about the guide law in Imlil now.